I am a member of Deep Learning Team at the Microsoft Research AI. 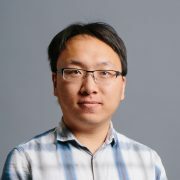 My research interests are mainly in the areas of machine learning, mathematical optimization, and their applications in computer vision and natural language processing. I’m also working on numerical methods for PDEs, multiscale methods and numerical homogenization. I’m excited on the interplay of machine learning and applied mathematics. Before joining the Deep Learning Team, I obtained my Ph.D. degree in Applied and Computational Mathematics from Caltech in 2017. My PhD thesis is “Compressing Positive Semidefinite Operators with Sparse/Localized Bases“, which won the W.P. Carey Thesis Prize in Applied Math from Caltech. My thesis concerns the theoretical and computational aspects of dimension reduction and sparse modeling. Applications of my research includes nearly linear complexity algorithms for large scale elliptic equations (including continuous elliptic operators and discrete graph laplacians), the sparse principal component analysis and the density functional theory (in quantum physics). I’m passionate on solving challenging engineering problems with research. I have been developing mathematical models and algorithms to do subsurface modeling at ExxonMobil (2015) and anomalous detection at Microsoft (2016).